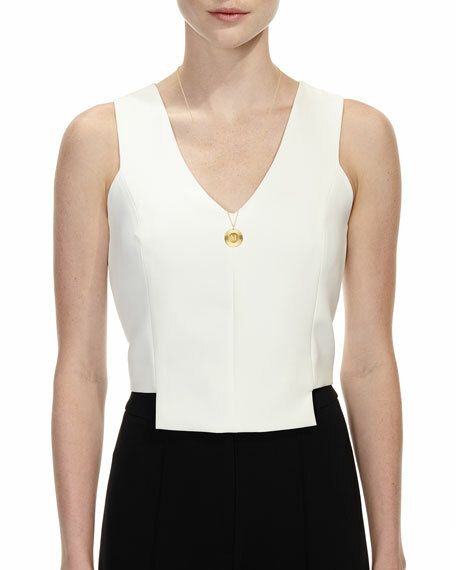 Jennifer Zeuner "Iris Rudy" pendant necklace. 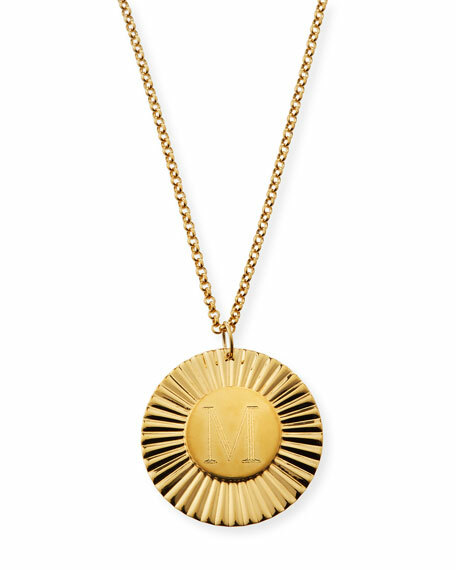 Fluted medallion pendant, personalized with your choice of a single initial. 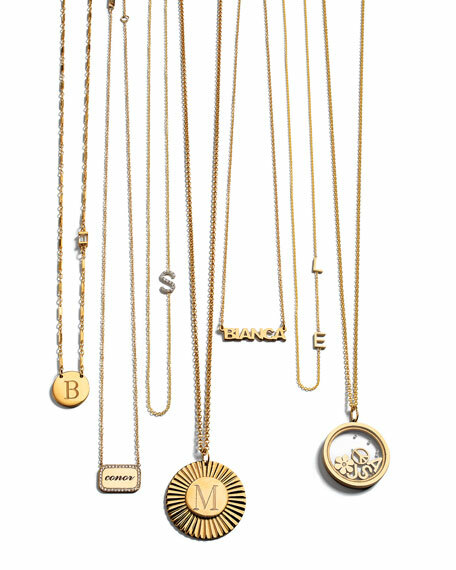 Brunello Cucinelli golden monili necklace. Multi-strand, loop front. Choker style. Side fringe. Silver. Made in Italy. Model's measurements: Height 5'10"/177cm, bust 32"/81cm, waist 24.5"/62cm, hips 36"/91cm, dress size US 2/4. Maxen dangle necklace by Kendra Scott. Polished 14-karat yellow gold plating. Graduating dangles with smoky gems. Adjustable; slider clasp. Approx. Maxen dangle necklace by Kendra Scott. Polished 14-karat yellow gold plating. Graduating dangles with smoky gems. Adjustable; slider clasp. Approx. 28"L. Imported. Please note: Due to the one-of-a-kind nature of the medium, exact color patterns may vary slightly from the image shown. Cascadia pine statement necklace by Lulu Frost. Polished yellow golden plated brass hardware. Geometric dangles with crystal baguettes. Approx. 18"L; 1"L extender; 3.5"L drop. Adjustable; lobster clasp.